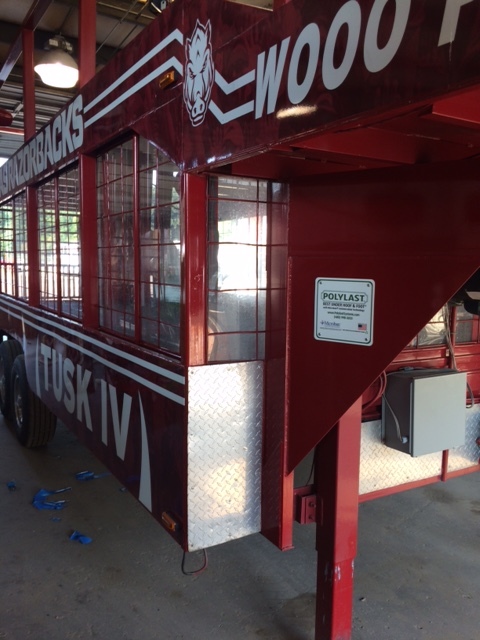 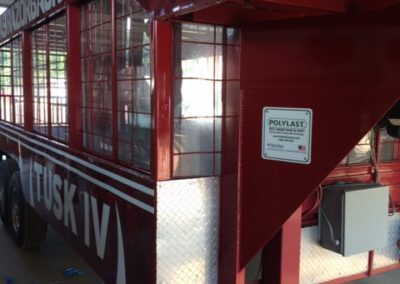 The Trailer Store, an Authorized Polylast Dealer, recently finished an installation for the University of Arkansas mascot trailer. 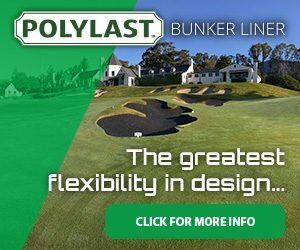 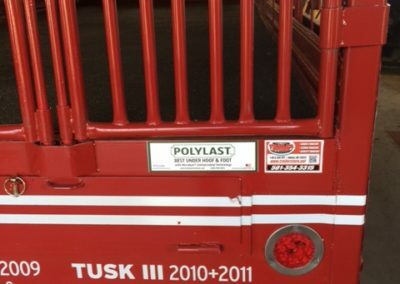 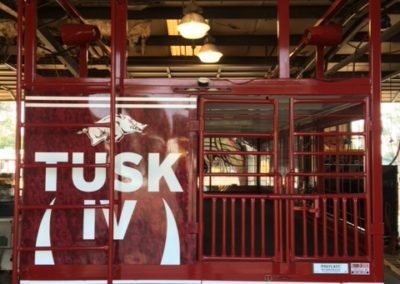 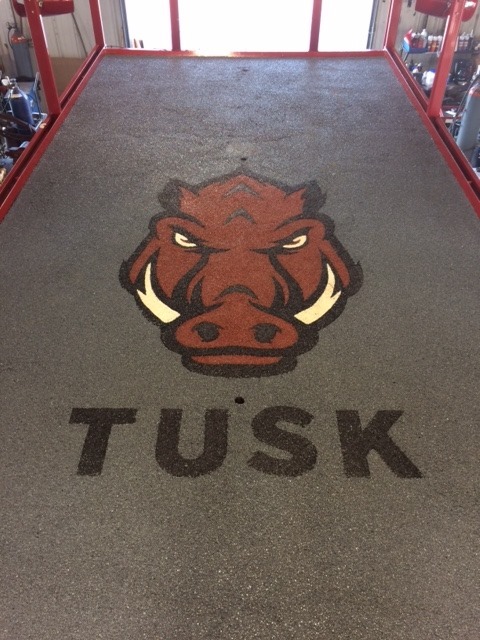 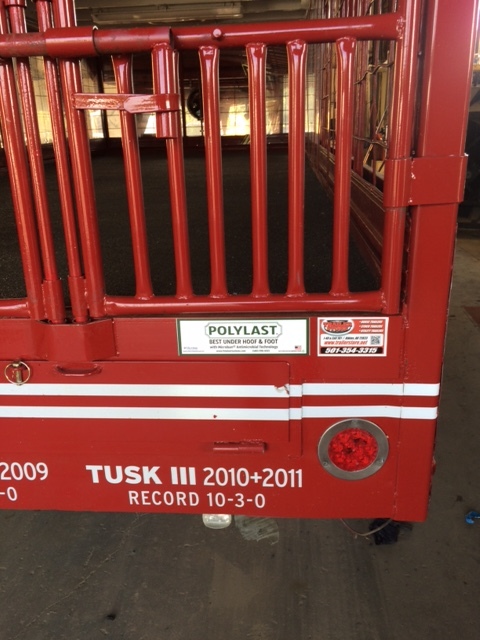 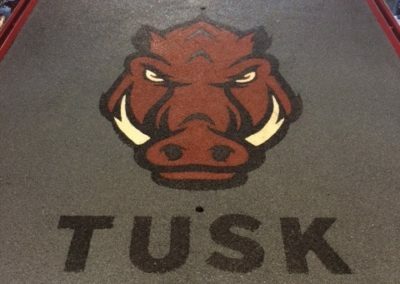 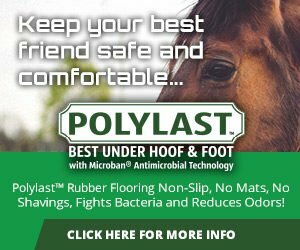 The custom “Tusk” logo was made in house at Polylast’s home office in Scottsdale, and shipped to Arkansas where it was permanently installed. 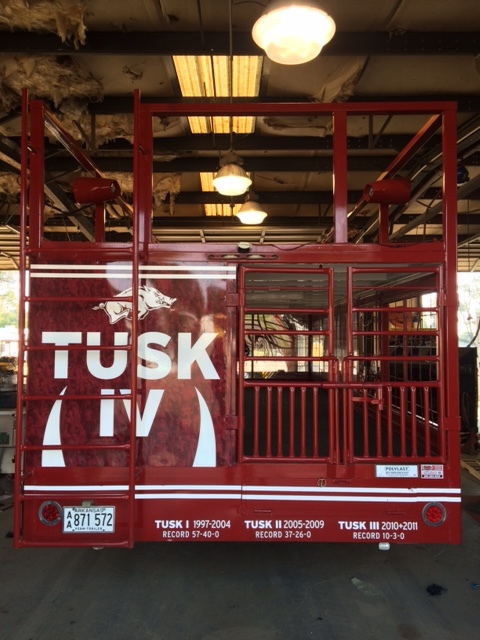 Now Tusk, the mascot, and the cheerleaders will be arriving to the football games in style!